Pittsburgh Personal Injury Attorney Robert E. Mielnicki has Recovered Over $7 Million for His Clients and has Been Taking a 25% Fee from Nearly Every One of Them! No Fee Unless We Obtain Compensation for You! The following is a list of some of the results Pittsburgh Personal Injury Attorney Robert E Mielnicki has obtained in civil cases. He has settled numerous cases. Confidentiality agreements prevent him from disclosing the facts of some cases or the actual amounts of some of his settlements. 1997 – Allegheny County: Robert E Mielnicki, Esq. successfully represented an NFL Pro Bowl Player in a civil suit. 2001 – Allegheny County: J.B. was walking to work when a very young driver with only $100,000 in coverage hit him resulting in the loss of a leg. Pittsburgh personal Injury Attorney Robert E. Mielnicki knew that $100,000 was not enough so he obtained numerous documents pertaining to the roadway where the accident occurred. He also found about $50,000 for J.B. through sources such as the Pennsylvania Crimes Victim Compensation Fund. He then sued the municipality responsible for the roadway. After retaining two experts he settled jointly with the young driver and the municipality for $325,000 bringing J.B. a total of nearly $375,000. 2003 – Allegheny County: Bicycle Accident settled for $215,000. 2004 – Allegheny County: A fire case that Pittsburgh Personal Injury Attorney Robert E. Mielnicki would rather not set forth the facts of was settled for $525,000. 2004 – Allegheny County: Pittsburgh Personal Injury Attorney Robert E. Mielnicki took over fire case which had been handled by at least 3 other attorneys over 16 years. He had no way to inspect the scene or hire a credible expert 16 years after a fire. The case, however, was settled for $445,000. 2008 – Allegheny County: Premises Liability Case with questionable insurance coverage settled for $90,000. 2008 – Washington County: C.H. came to our firm with a $500 offer for cervical strain as a result of an auto accident. After months of negotiation, case was settled for $25,000. 1998 – Westmoreland County: Robert E. Mielnicki, Esq. represented N.M. who was injured in an automobile accident. The party responsible had $100,000 in insurance coverage. The insurance company chose to play hardball since there was almost no damage to either car. After a somewhat lengthy jury trial for an automobile case, Attorney Mielnicki obtained a judgment for his client of $310,000. The insurance company ended up paying the entire amount since it offered no money at all to settle the case. 2004 – United States District Court-Western PA: Civil Rights Case (malicious prosecution/false arrest) was settled for $50,000. Disclaimer: How much any personal injury client receives is impossible to predict. Such depends on the particular insurance company, the county the lawsuit may be filed in and in the event of a jury trial, the composition of the jury. 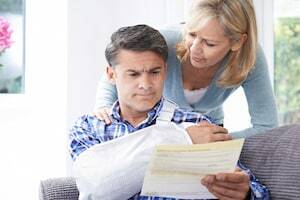 To speak with an experienced personal injury attorney, who will charge you a 25% contingency fee, contact the Law Office of Robert E. Mielnicki at (412) 288-0300. We serve clients throughout Pennsylvania including, but not limited to, those in the following localities: Allegheny County including Allison Park, Gibsonia, Glenshaw, Oakmont, Pittsburgh, Wexford, Hampton Township, McCandless, Ross Township, and Shaler Township; Armstrong County including Ford City, Freeport, Kittanning, and Leechburg; Beaver County including Aliquippa and Beaver; Butler County including Butler, Cranberry Township, Evans City, Mars, Sarver, Valencia, and Zelienople; and Mercer County including Grove City, Mercer, and Sharon.